is emeritus professor at the Centre for History of Science, Technology and Medicine at the University of Manchester. His latest book is The Invention of the Modern Dog: Breed and Blood in Victorian Britain (2018), co-authored with Neil Pemberton and Julie-Marie Strange. Modern dog breeds were created in Victorian Britain. The evolution of the domestic dog goes back tens of thousands of years – however, the multiple forms we see today are just 150 years old. Before the Victorian era, there were different types of dog, but there were not that many, and they were largely defined by their function. They were like the colours of a rainbow: variations within each type, shading into each other at the margins. And many terms were used for the different dogs: breed, kind, race, sort, strain, type and variety. By the time the Victorian era came to an end, only one term was used – breed. This was more than a change in language. 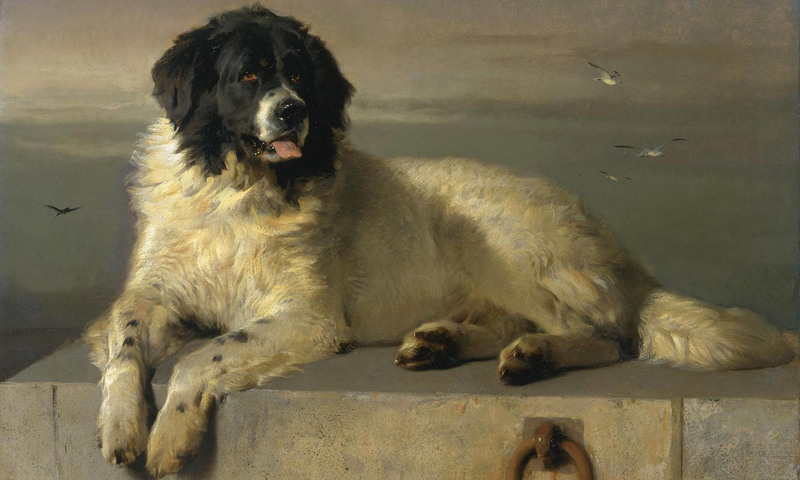 Dog breeds were something entirely new, defined by their form not their function. With the invention of breed, the different types became like the blocks on a paint colour card – discrete, uniform and standardised. The greater differentiation of breeds increased their number. In the 1840s, just two types of terrier were recognised; by the end of the Victorian period, there were 10, and proliferation continued – today there are 27. The advent of dog shows drove the creation of breed. The groups running these events and driving changes were styled the ‘dog fancy’, and the aficionados of the new canines ‘doggy people’. Breed standards were contingent and contested, decided as competitions selected the best dogs in each class. Owners gained prestige, and some income, from sales and stud fees. Competition at shows and in the market drove specialisation, in the specification of ideal forms; standardisation, in the designs of physical conformations; objectification, in viewing dogs’ bodies as made up of parts; commodification, in promoting dogs as tradable goods; differentiation, in the proliferation of breeds; and alienation, as ability and character became secondary to form. The templates for breed conformation standards drew upon history, art, natural history, physiology and anatomy, and aesthetics. There was a tension in breeding between earned and inherited worth, that is, between ‘best in breed’ winners, chosen in competitions, and ‘pure blood’ dogs with pedigrees showing superior inheritance. This tension points to the divisions among doggy people who were gentlemen-amateurs, and those who were trader-professionals. The former, predominantly from the upper classes, defined themselves as ‘dog lovers’. They were men (few women were active in the dog fancy until the 1890s), who were themselves of the right breeding, to use their parlance. They claimed to be interested only in the long-term improvement of the nation’s dogs, and saw themselves in a struggle against entrepreneurs, whom they styled as ‘dog dealers’, interested only in short-term profit and social success. Dog breeds were associated with class and gender. Sporting dogs were favoured by the upper classes, even though few show dogs were used in the field. Middle-class owners wanted fashionable breeds that indicated status and wealth. Ladies favoured toy breeds, as well as adopting fashion icons such as the Borzois. There were working-class fanciers, particularly with bulldogs, terriers and whippets. National identities were also evident. For example, there were struggles over the differentiation of the Skye from other terriers, and whether ‘immigrants’ such as Newfoundlands, Great Danes and Basset hounds had been improved sufficiently to count as British. The new dog fancy’s aim was to bring every dog up to standard, producing uniform breed populations and thus improving the nation’s dogs. With individual breeds, the aim might be to change a particular feature for reasons of taste and aesthetics, or more radically to manufacture a whole new breed by adding or subtracting physical attributes. The most controversial new breed of the era was the Irish wolfhound, which had disappeared from Ireland in the mid-18th century when the wolf was hunted to extinction. However, one man set out to recover the lost breed, and his story exemplifies how the new breeds were invented culturally and materially. George Augustus Graham (1833-1909) was an English, ex-Indian Army officer living in Gloucestershire. To the Victorians, the Irish wolfhound was a beast of legend, said by Pliny to be large enough to take on a lion, and by the 18th-century French naturalist Comte de Buffon to be five foot tall. Graham assumed its blood must still be in dogs in Ireland, and set about its recovery. He began in libraries, collecting descriptions and drawings, and soon met a problem: there was no single physical type. At one pole, they were said to have been greyhound-like, having the speed to catch a wolf; at the other, they were said to be large, Great Dane types, able to bring down and kill their prey. This is what one would expect before the adoption of breed: hounds of a variety of shapes and sizes were used to hunt wolves, the important thing being their ability to do the job. However, in the 1860s and ’70s, Graham was working with the new, essentialist, conformation-standard notion of breed, and had to settle upon one physical type – and he chose the greyhound. He drew his design, then started a breeding programme to realise his ideal. Controversy broke out. The reporter in Freeman’s Journal, Dublin’s oldest nationalist newspaper, dismissed Graham’s dogs as mongrels and unworthy of ‘our conception of the race [that] might have his portrait painted as a “national emblem”, with the harp, the “sunburst” and the “full-length figure of Erin”’. The reporter was probably guided by the image of the Irish wolfhound on the gravestone of Stephen O’Donohoe, a nationalist who lost his life in an attack on a police barracks in Tallaght near Dublin in 1867. Graham’s version of the Irish wolfhound was also attacked in England. The breed did not enjoy good health, and reproduction was difficult, which was put down to excessive inbreeding. G W Hickman, a Birmingham breeder of deerhounds, dismissed the whole enterprise. He argued that ‘as such an animal is now extinct, any attempt to revive it will simply be a manufacture more or less conjectural’. He was certain that the old Irish dog was a Great Dane type, and that Graham’s dogs were creatures of ‘inference, supposition and conjecture’. He concluded: ‘That a gigantic rough-coated dog of the deerhound type may be produced by judicious breeding I do not doubt, but it must be by a still further large addition of foreign blood.’ Indeed, there was speculation that Graham had outcrossed with Great Danes for size, Tibetan mastiffs for coat length, and greyhounds for athleticism. His riposte: ‘I hardly think it any more manufactured than many other breeds that are now looked upon as “pure”.’ While the dog fancy’s rhetoric celebrated pure bloodline, the reality was that crossbreeding was commonplace and necessary to avoid the health problems that came from inbreeding. The changes wrought upon dogs in the Victorian era were revolutionary. It brought about the adoption of breed as a sole way of thinking about and breeding varieties of dog. This materially remodelled dogs’ bodies, as well as their genetics. Kennel clubs across the world, responding to the recent critiques of ‘pedigree dogs’, have begun to alter the conformation standards of some breeds and encourage genetic diversity. It remains to be seen how radical these changes will be, but the historical contingencies that shaped the invention of the modern dog can be read as giving licence, not only to the remaking of individual breeds, but to reimagining the very category of breed itself.